Water damage can strike at any time and in devastating fashion. It can be a leak that was allowed to build over time, or it can a crack in your plumbing that causes an immediate effect. No matter the source, if left unresolved the water damage can destroy your possessions and can even harm your property itself. In addition to the immediate impact, water damage can have a long-term effects as well. Excess water can easily get into your carpeting, flooring, furniture, and even your walls by soaking through the drywall and the insulation. Once the water has gotten there, it can even contribute towards damaging the wood that makes up your support beams which can contribute towards rot. The most important long-term effect to watch out for is the growth of mold. Mold can be highly damaging to your property and your health, and requires mold removal experts to get rid of the growth and get your property back to pristine condition. We are locally owned and operated so we know what our Saline county customers need. Our team is equipped to handle all of your emergency restoration needs. Whether you need to fix water damage, get mold removal, or even need smoke restoration don’t wait! Call our emergency restoration technicians at 911 Restoration of Central Arkansas today. The impact of water damage cannot be stated enough. Between its immediate and long-term effects beginning your water restoration quickly is the key to minimizing the impact of your water damage by saving on time and money. The first step is to get the source of the water damage stopped. We guarantee to be at your property within 45 minutes of your call day or night. Emergencies happen at any time, which is why we stand by ready to respond 24/7/365. 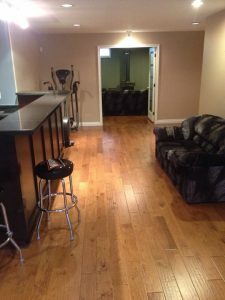 Our technicians are licensed, insured, bonded, and IICRC certified. We also only use the latest in water extraction equipment to get your property dry as a bone as fast as possible. Being local allows to us serve all of Saline county in a rapid and efficient timeline so you can get back to regular life in the quickest possible time frame. We are prepared for any source of water damage and will get your water restoration done quickly. However, keep in mind the potential long-term effects to watch out for. One source of water damage to watch out for in particular is flooding in the basement. Between the warmth and darkness combined with the excess water, you are looking at a perfect breeding ground for mold, which necessitates an expert mold removal crew. Mold contamination can occur over time or rapidly depending on the level of moisture in its environment. Regardless, the longer mold has to grow, the higher the damage potential to your property. In addition, it can also affect the health of the people living in the property. What makes mold so dangerous boils down to two factors. First, it can eat away at any organic material such as wood if not addressed. Second, mold spores can become airborne which can get into the lungs of people causing breathing problems as well as headaches. Some forms of mold can be toxic in and of itself as well. 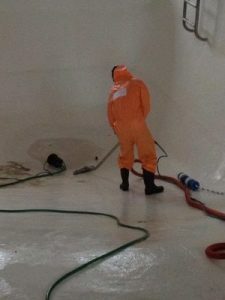 For these reasons, a mold remediation crew like our team of experts at 911 Restoration of Central Arkansas is needed for your mold removal. Unfortunately, despite its damage potential mold is not always obvious. 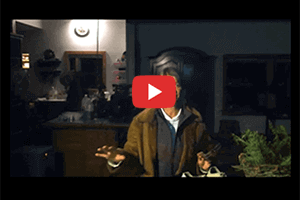 Because of this problem, it can be hard to say how long mold has been growing, which is why you should not wait to make the call as soon as you suspect mold. Our mold removal technicians start with a mold inspection to verify the presence of the mold and upon finding it they contain the mold. 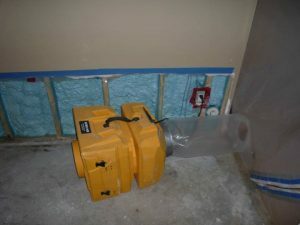 To help us combat the mold, we use state of the art equipment to neutralize and remove the mold. We also guard against your health, which is the equipment includes vapor barriers and other containment measures to go with our air filters. 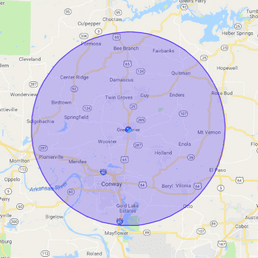 Whenever you need mold removal done, you can count us at 911 Restoration of Central Arkansas to be there for you within 45 minutes whether you live in Bauxite or out in Mabelvale. We combine our prompt response time with our unparalleled degree of expertise by only working with IICRC certified technicians. All of this is provided at an incredible value for our Saline County customers.